They are glib and superficially charming. They have a grandiose sense of self worth. They are often pathological liars and routinely engage in acts of cunning and manipulation. If they do something wrong, they are without remorse. Their emotional responses are typically shallow, and they commonly display a high degree of callousness and a lack of empathy. They are impulsive, irresponsible, parasitic and promiscuous. Some of them torture cats. Who are they? Psychopaths, of course. Psychopaths fascinate the public. Although they are relatively uncommon within the general population, they are often overrepresented in prison populations, and are more likely to be responsible for the most heinous violent crimes, such as repeated acts of predatory violence and serial killings. They are also said to be overrepresented in the upper echelons of corporate and political life. If nothing else is true, they appear to have a significant impact on social life. Part of this impact seems to be helped by the fact that psychopaths don’t play by the same moral rules as the rest of us. What is to be done about this state of affairs? Empirical studies seem to suggest that psychopaths lack important moral capacities (such as the capacity for empathy). And some philosophers use this empirical evidence to suggest that psychopaths fail to meet the basic conditions for moral blameworthiness. In this post, I want to take a look at the arguments these philosophers use to support this conclusion. I do so by calling, in particular, upon the discussion in a recent paper by Marion Godman and Anneli Jefferson entitled “On Blaming and Punishing Psychopaths”. The paper makes a number of interesting arguments about how psychopaths should be viewed, both legally and morally. I don’t propose to cover all those arguments. I just want to hone-in on one particular aspect. As Godman and Jefferson point out, although arguments against the moral blameworthiness of psychopaths have found favour in some philosophical quarters, the empirical and philosophical assumptions upon which these arguments are based are somewhat dubious. I think this is an important claim — one that is worth analysing in more detail. It is important to appreciate how narrow the concerns of this post are. This post is solely about the moral blameworthiness of psychopaths. In this respect, “blame” is understood as a backwards-looking concept. In other words, people are blameworthy because of actions they have performed in the past. More precisely, it is the fact that their past behaviour exemplified certain morally salient properties that we deem them worthy of blame. Because blameworthiness is being understood in this narrow, backwards-looking sense, it follows that assessments of blame have no necessary implications for questions relating to the punishment or legal confinement of psychopaths. They might do, of course. But only if one’s theory of punishment or legal confinement is such that it is only permissible to punish or confine people if they can be blamed for past actions. If one has a more consequentialist or forward-looking theory of punishment and/or confinement, such limitations may not apply. To put it more succinctly, even if one were to agree that psychopaths failed to meet the conditions for moral blame, one is not thereby obligated to accept the view that psychopaths do not warrant punishment or confinement. With that caveat out of the way, we can proceed to consider the argument that psychopaths are not morally blameworthy. It is my contention that all such arguments — and certainly those covered in the Godman-Jefferson article — fit a common pattern. This pattern begins with a principle stating that an individual agent must, in their actions, meet certain conditions in order to warrant blame. Since the era of Aristotle, it has been common to identify two such general conditions. The first is the control condition, according to which agents must be in control of their actions in order to be deemed morally blameworthy for those actions. The second is the epistemic condition, according to which agents must have knowledge (or, “understanding”) of certain morally salient properties of those decisions in order to be deemed morally blameworthy. (1) An ability to understand moral concepts C1…Cn is an essential precondition for moral blame (motivating principle). (2) Psychopaths lack the ability to understand moral concepts C1…Cn (empirical claim). (3) Therefore, psychopaths cannot be morally blameworthy. Different philosophers fill out the premises with different accounts of the essential moral concepts and different empirical studies supporting the claim that psychopaths are unable to grasp those concepts. Although the inability to empathise, and the lack of remorse are usually central to this, the versions of the argument considered by Godman and Jefferson relate to the ability to grasp moral rules and the ability to understand the nature of personhood. Let’s look at both of these versions of the argument now. The first version of the argument claims that psychopaths are unable to grasp the difference between moral and conventional rules and that this inability undermines their blameworthiness. There are some problematic steps in this argument. But let’s try to give it the respect it deserves by outlining the basic idea. First, we need to understand the distinction in question for ourselves. A conventional rule is one that is contingent, localised, and oftentimes produced by an authority figure (or figures) within a certain practical or social context. For example, I could, as a lecturer in a university classroom, create a conventional rule stating that it is impermissible to use a laptop in my class. Students would go along with this rule (I hope) because I have some authority in that context. Now, to be sure, I could have some good reasons for introducing that rule (laptops are distracting and they undermine concentration and deep learning), but I could also suspend that rule (maybe for a particular classroom exercise) and no one would say it was wrong for me to do so. The rule is purely conventional. Moral rules are different. They are not simply contingent or localised, nor are they capable of being suspended by appropriate authority figures. Imagine if I, as a lecturer in a university classroom, told my students that it was okay for them to torture one another for the purposes of a classroom exercise. They would balk at the notion. The rule against torture is not merely conventional. It is moral. According to developmental psychologists, acquiring the ability to grasp the distinction between conventional and moral rules is a key stage in the moral development of children. But there is behavioural evidence suggesting that psychopaths cannot grasp the distinction. The most commonly cited studies in this area are those performed by James Blair, published in 1995 and 1997. Blair took people who scored highly on Hare’s psychopathy test and assessed their ability to tell the difference between moral and conventional transgressions. He found that psychopaths tended to treat conventional and moral transgressions equivalently, and were less likely to focus on the harm associated with an action when deciding whether or not it was permissible. Interestingly, his study didn’t seem (I say “seem” because I’m reporting it second-hand) to find that psychopaths thought that moral rules could be easily suspended by authority figures. Rather, psychopaths seemed to view moral and conventional rules as equally authority-independent. Some authors have taken these findings as evidence for the view that psychopaths lack genuine moral understanding and so cannot be morally blamed for what they do. Neil Levy (2007) has made this point. The gist of the reasoning is clear enough. It is that awareness that particular action (A) involves the transgression of a moral rule is an essential prerequisite for moral blame. We don’t ordinarily deem people who lack that awareness morally blameworthy. Think of children who have not passed through the requisite stage of moral development. 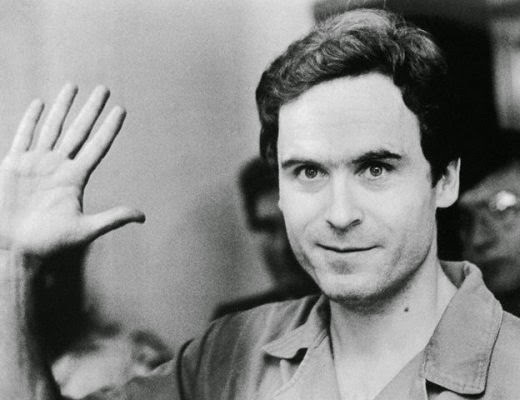 Why should we treat psychopaths differently? (1*) An ability to understand that an action involves the transgression of a moral rule (as opposed to a conventional rule) is an essential precondition for moral blame for that action. (2*) Psychopaths are unable to understand moral rules (more precisely: they cannot distinguish them from purely conventional rules). (3*) Psychopaths cannot be deemed morally blameworthy for performing actions that transgress moral rules. Is this argument any good? For what it’s worth, I have some doubts about the motivating principle, at least in its current form. I tend to think that awareness that an action involves the transgression of what you conceive to be conventional rule, but that you know everyone else deems to be a moral rule, and is in fact a moral rule, might be sufficient for moral blame. Furthermore, I suspect that many high-functioning psychopaths have that kind of knowledge. Still, I accept that this is an argument that would would require some elaboration. Godman and Jefferson offer two other critiques in their paper. The first is targeted at premise (2*). They contend that the empirical evidence on the psychopathic inability to grasp that distinction is more uncertain than proponents of the argument let on. For example, in a 2012 study, Aharoni et al tried to test psychopaths’ ability to tell the difference between moral and conventional rules and were unable to reproduce Blair’s results. Indeed, they found that IQ, not psychopathy, was a predictor of an individual’s ability to grasp the distinction. The second critique is more conceptual, though it has an empirical aspect to it. I guess it would be targeted at premise (1*) insofar as it calls into question the tenability of the moral-conventional distinction. Reflecting on it from my philosophical armchair, I find the distinction, as described, to be somewhat problematic. Oftentimes, moral rules are contingent, situational and localised in nature. Furthermore, on at least some occasions, moral rules can be authority-dependent (in fact, if you are a proponent of divine command theory this is always true). For example, I think it is immoral to drive on the right side of the road in certain countries (I live in one such country). This is not because driving on the right is intrinsically immoral, but rather because within a particular community an appropriate authority has chosen the “everyone drive on the left”-equilibrium. The unsatisfactory nature of the moral-conventional distinction has also been confirmed by some empirical studies. Godman and Jefferson cite an online survey study published by Kelly et al in 2007 which found that judgments of moral impermissibility were not always universal, authority-independent and sensitive to factors like harm to others. This suggests that this version of the anti-moral blame argument leaves something to be desired. This brings us to a second version of the argument, one that has recently been defended by Levy (again). To understand it, we need to go back to my original description of the behavioural characteristics of psychopaths. Note how several of them suggest that psychopaths have problems with delayed-gratification. We are told that they tend to be impulsive, promiscuous and irresponsible. This suggests that they aren’t always great at projecting themselves into the future and planning for that future. Likewise, some of their characteristics suggest that they aren’t that great at projecting themselves into the past either. An example would be their ability to act callously and without remorse. Levy has suggested a unitary theory of these phenomena. He claims that what psychopaths lack is an ability to engage in Mental Time Travel (MTT -i.e. an ability to project themselves into the past and future). They are capable of short-term planning and execution, but notoriously bad at long-term planning and execution. As some have put it, they are “stuck in the present”. Levy cites several others in support of this view. All say much the same thing (e.g. McIlwain 2010; Petrican and Burris 2011): psychopaths seem to have a limited temporal imagination. They find fleeting impulses nearly irresistible; they find self-control more difficult. Levy argues that these deficits in MTT are significant when it comes to moral blame. The reason being that MTT is central to the standard philosophical conception of personhood. For instance, Michael Tooley’s famous definition of personhood holds that a person is a continuing subject of conscious experiences. What makes me a person is that I have an awareness of my current experiences and an awareness that those experiences continue over time. This notion of personhood is also central to many aspects of our morality. Though it is probably wrong to harm any sentient life, it is more wrong to harm a person. Levy argues that understanding this unique type of harm is essential to understanding several of our moral duties and responsibilities. An inability to grasp the nature of that harm may be an impediment to moral blame. His claim is that the psychopathic deficits in MTT engender such a disability. Psychopaths are unable (or, at least, less able) to view themselves and others as persons in the morally relevant sense. (1**) An ability to understand the unique nature of harm to a person is an essential prerequisite for (at least some) types of moral blame. (2**) Psychopaths lack the ability to understand the unique nature of harm to a person (due to their deficits in MTT). (3**) Therefore, psychopaths cannot be deemed morally blameworthy for at least some types of moral wrong. Note how this is a narrower argument than the preceding one. As is clear from both premise (1**) and the conclusion, this argument does not exonerate psychopaths from all types of moral blame. It only exonerates them from moral blame attaching to actions that involve harm to another person. To the extent that they understand harm to sentient beings (as distinct from persons) they could still be blamed for that. And since all persons are typically sentient, this suggests that in a case involving harm to a person, a psychopath could still be blamed for the lesser type of harm that they knew to be present. But with that restriction in mind how should we view the argument? Premise (2**) is problematic. For one thing, the empirical support for it is unimpressive. The studies that Levy cites tend to involve either single cases, philosophical reviews of psychopathy, or studies not directly aimed at testing psychopaths. Furthermore, as he himself notes, what evidence there is suggests that a deficit in MTT is only present among low-functioning psychopaths. High-functioning psychopaths seem to be capable of long-term planning and execution. Thus, the argument may have an even more restrictive reach than what has already been described. Beyond this, the link between a deficit in MTT and an inability to grasp the nature of harm to persons is merely conceptually appealing, not something that has been meticulously investigated. To sum up, in this post I’ve been looking at philosophical arguments claiming that psychopaths are not morally blameworthy. As I noted, these arguments tend to focus on the inability of psychopaths to satisfy the epistemic conditions for moral blame. Two versions of this epistemic argument have been considered. The first claimed that psychopaths are unable to understand transgressions of moral rules because they are unable to grasp the distinction between moral and conventional rules. This version of the argument was challenged on both empirical and conceptual grounds: recent studies suggest that psychopaths do understand that distinction; and both conceptual and empirical evidence suggests that the distinction is not as robust as some have tended to believe. The second argument claimed that psychopaths are unable to understand the nature of harm to a person because they suffer from deficits in Mental Time Travel. This is a more restrictive argument and one that, for the time being, lacks a credible empirical foundation.